Work injury compensation for hospitality workers. That's our specialty. If you’ve been injured working in a café or restaurant, we’ll help you claim the maximum compensation payments available to you. Our specialist work accident injury lawyers ask more questions and get to know you personally, so you’ll get more compensation. I’ve been injured working in a café / restaurant. What should I do? Café and restaurant workers are susceptible to a range of injuries from working with sharp blades, hot oils, grills, burners and environments prone to spills and slippery floors. Under the workers compensation scheme, anyone who’s injured working in hospitality, whether you’re a waiter, chef or kitchen hand, may be entitled to make a claim for compensation. If you’ve been injured, check that your employer has notified their workers compensation insurer, and see your GP to get a certificate of capacity so that you have medical evidence of your injury or illness. If you’re not sure what to do, one of our specialist work injury compensation lawyers will be able to explain over the phone how we can assist. What if I’m a casual employee? Even if you’re a casual employee, you may be entitled to workers compensation. In fact, if you’re working in hospitality as a second job and your injury prevents you from doing both your jobs, we may be able to help you claim compensation for lost wages from both jobs. It’s best to speak to a specialist workers compensation lawyer as soon as possible and get advice. 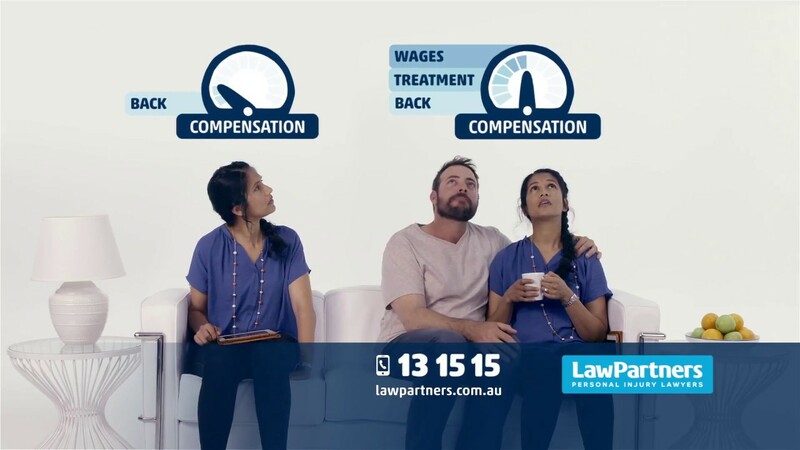 It costs nothing to call Law Partners for advice, and we’ll put you straight through to one of our workers compensation lawyers. How do I claim my travel expenses? Your lawyer will claim your travel expenses for you. To help with this, we provide a travel claim form at our initial meeting. We ask you to complete the form, including the travel details to your various treatment providers, the dates of travel and the reasons for the travel. We forward this information to the insurer for you, and request reimbursement.